Began the day at BPS and ran into an art and sound exhibit by Masary Studios. The exhibit used white cubes placed in a GPS located field and they light up and play noise based on their location within that field. It was quite beautiful. I had a meeting at BPS and then afterward stayed at the BPS building to see some STEM projects from middle schoolers sponsored by BOSE. 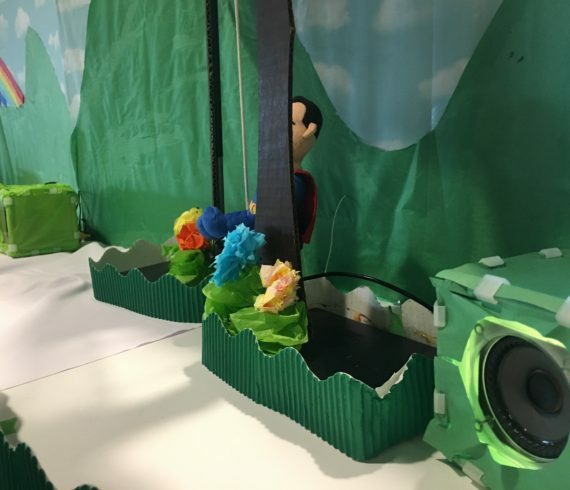 The projects were not really STEM in my opinion, basically BOSE has created some speakers that students put together and then they created some art projects with speakers in them. I appreciate the effort, but feel this type of activity misses the mark, and servers only as a PR endeavor for the company. I also went and spoke to some people at the Roxbury Innovation Center, housed in the BPS building, and then headed back to the office for work.